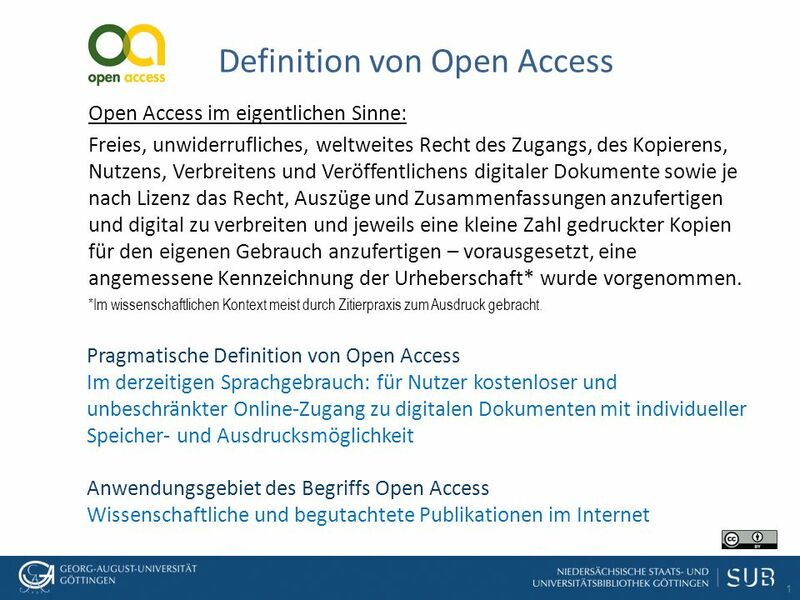 1 Definition von Open Access Open Access im eigentlichen Sinne: Freies, unwiderrufliches, weltweites Recht des Zugangs, des Kopierens, Nutzens, Verbreitens. 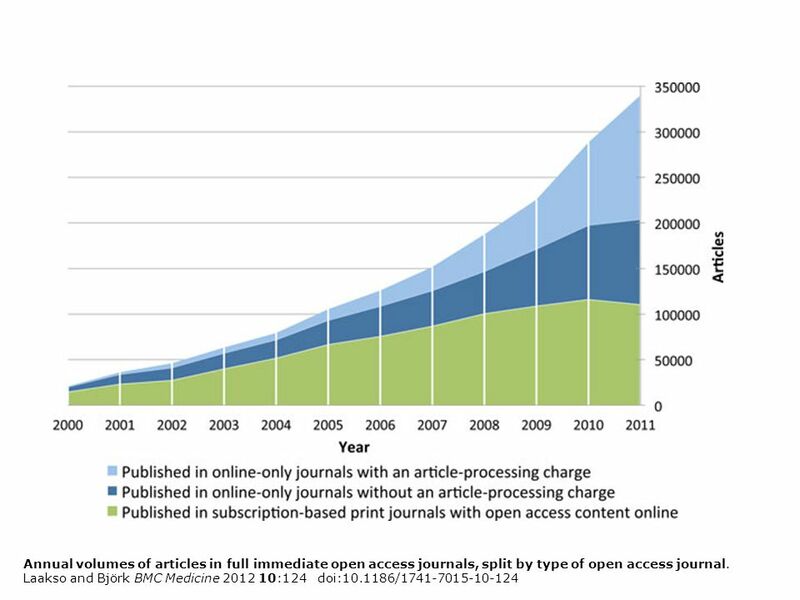 7 PLOS believes that lack of funds should not be a barrier to Open Access publication. Since its inception, PLOS has provided individual fee support and institutional fee support programs. The current offering includes: PLOS Global Participation Initiative (Low- and Middle-Income Country Assistance) Authors' research which is funded primarily (50% or more of the work contained within the article) by an institution or organization from eligible low- and middle-income countries will receive partial (group 2 countries) or full (group 1 countries) fee funding paid by the PLOS Global Participation Initiative (GPI). Group 2 PLOS GPI country authors who need to request additional support should apply for PLOS Publication Fee Assistance instead of the PLOS GPI.PLOS Global Participation Initiative (GPI) PLOS Publication Fee Assistance (PFA) Publication Fee AssistancePublication Fee Assistance is intended for authors who demonstrate financial need. Information about an applicant's application status for fee assistance will not be disclosed to journal editors or reviewers. 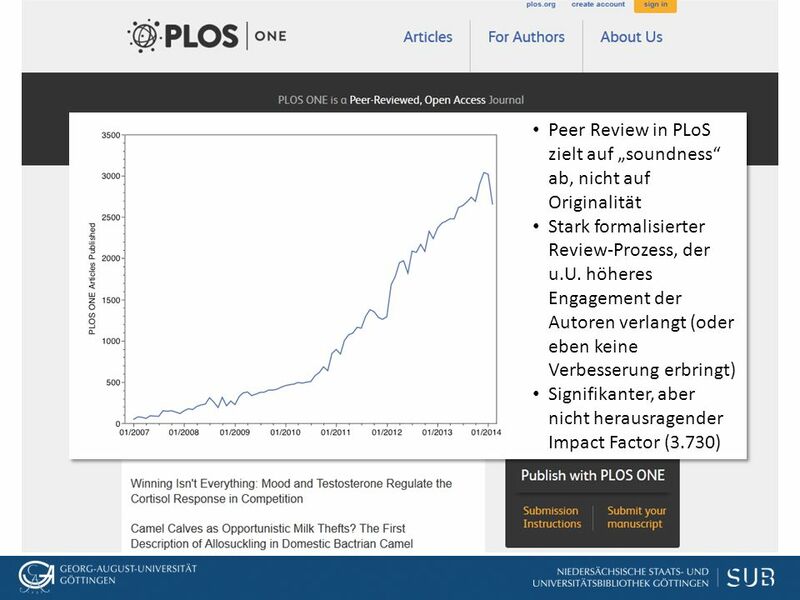 PLOS publication decisions will continue to be based solely on editorial criteria. 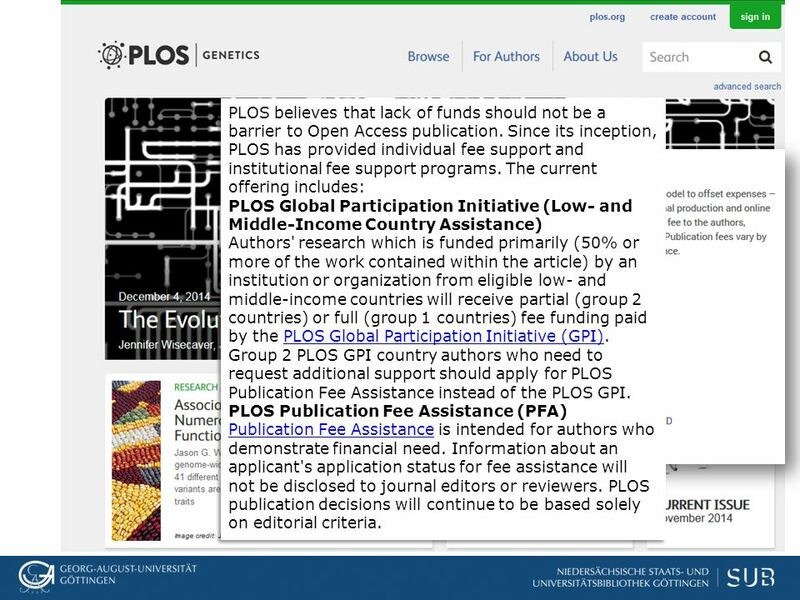 PLOS believes that lack of funds should not be a barrier to Open Access publication. 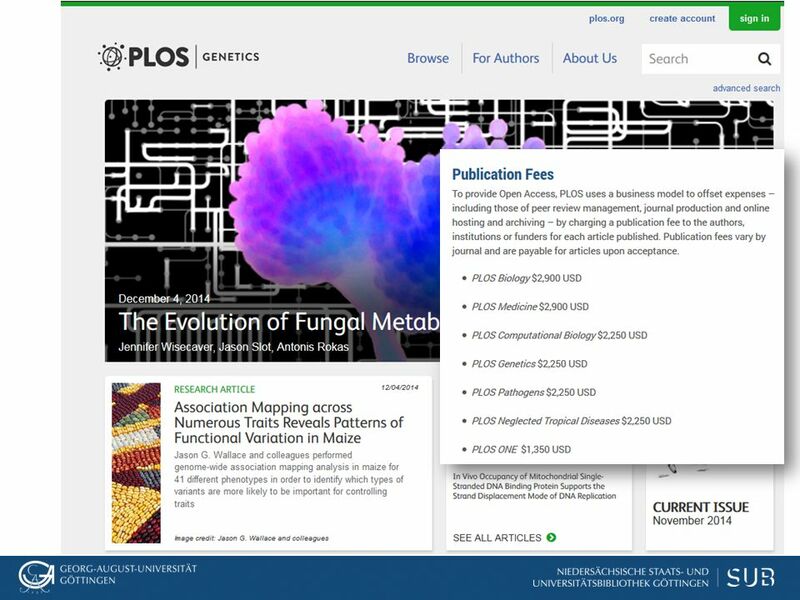 Since its inception, PLOS has provided individual fee support and institutional fee support programs. The current offering includes: PLOS Global Participation Initiative (Low- and Middle-Income Country Assistance) Authors' research which is funded primarily (50% or more of the work contained within the article) by an institution or organization from eligible low- and middle-income countries will receive partial (group 2 countries) or full (group 1 countries) fee funding paid by the PLOS Global Participation Initiative (GPI). Group 2 PLOS GPI country authors who need to request additional support should apply for PLOS Publication Fee Assistance instead of the PLOS GPI.PLOS Global Participation Initiative (GPI) PLOS Publication Fee Assistance (PFA) Publication Fee AssistancePublication Fee Assistance is intended for authors who demonstrate financial need. Information about an applicant's application status for fee assistance will not be disclosed to journal editors or reviewers. 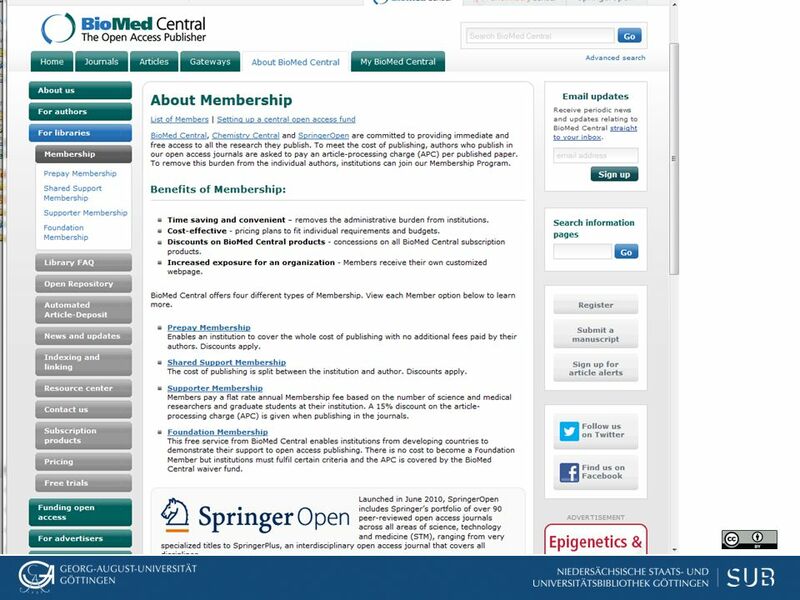 PLOS publication decisions will continue to be based solely on editorial criteria. 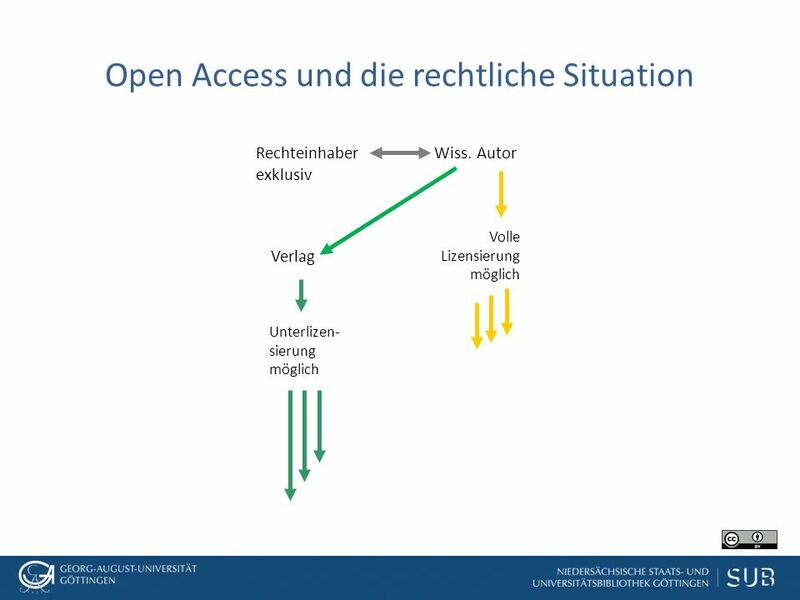 Herunterladen ppt "1 Definition von Open Access Open Access im eigentlichen Sinne: Freies, unwiderrufliches, weltweites Recht des Zugangs, des Kopierens, Nutzens, Verbreitens." 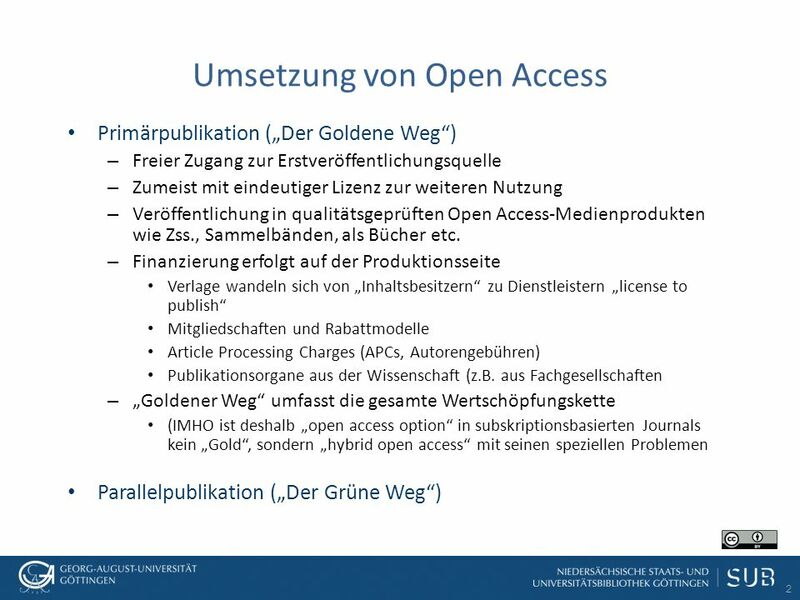 German Medical Science Portal und e-Journal der Arbeitsgemeinschaft der Wissenschaftlichen Medizinischen Fachgesellschaften Ein gemeinsames Projekt mit. 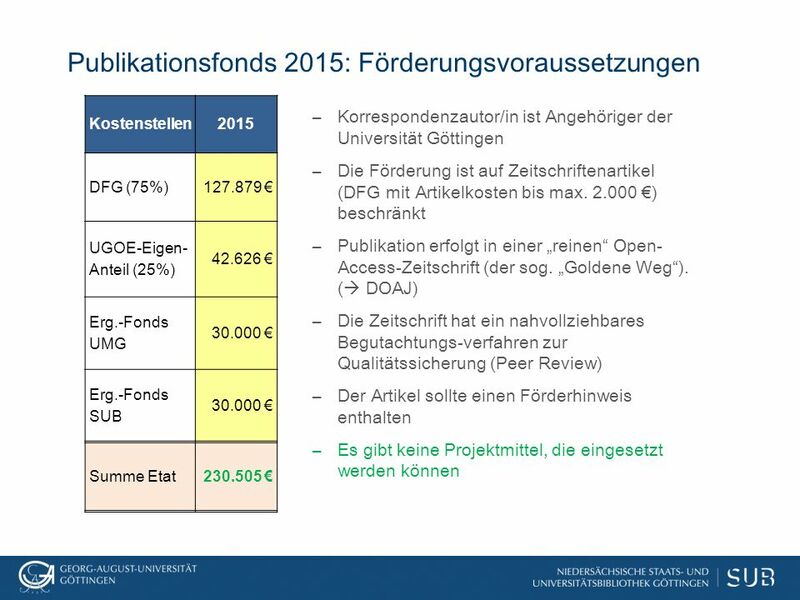 Optimierungsstrategien gegen die Preisinflation: Universitätsverlag Regine Tobias UB Karlsruhe. 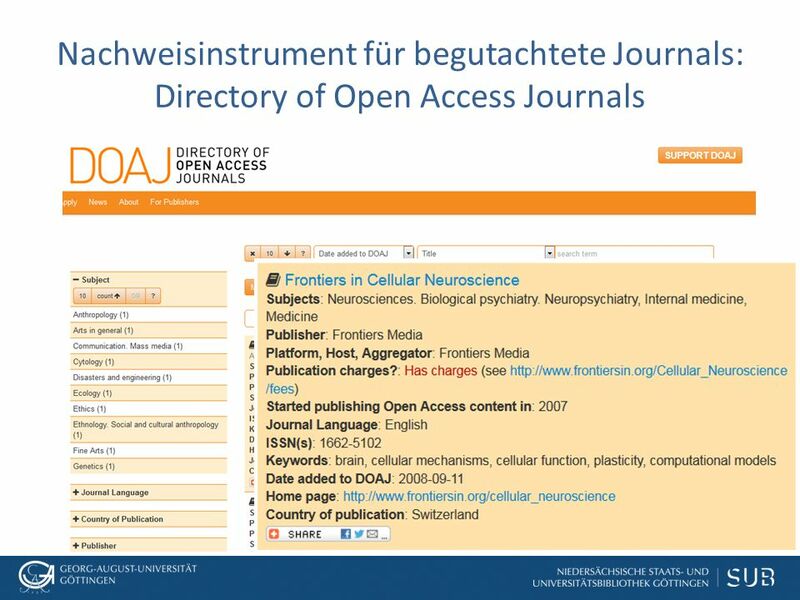 OceanRep das Institutional Repository des Helmholtz-Zentrums für Ozeanforschung Kiel, GEOMAR http://oceanrep.geomar.de/ Barbara Schmidt, GEOMAR Bibliothek.